Should I wash this mop pad before I use it? Yes, we recommend washing this before you use it to remove any excess dye from the mop pad. Doing this will help ensure that none of the color will bleed onto the surface you’re cleaning. Can this microfiber mop head be used with floor finish? Yes, this mop head is ideal for applying floor finish, as well as collecting dust and dirt. 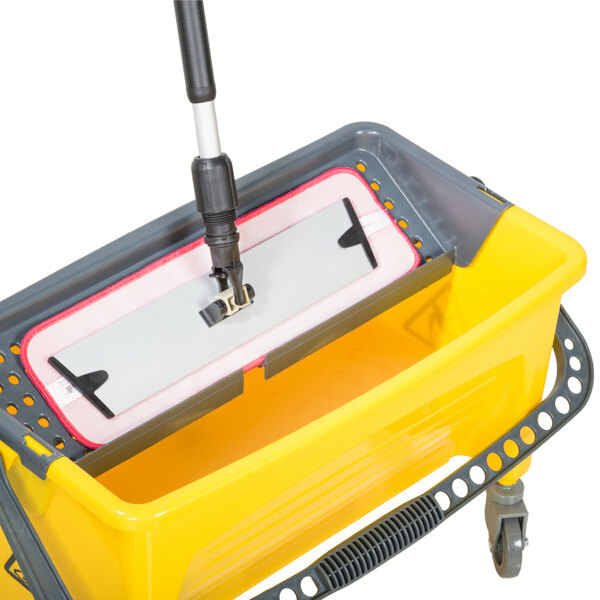 Collect dust and dirt easily with the MFVM18RD wet dust mop pad. 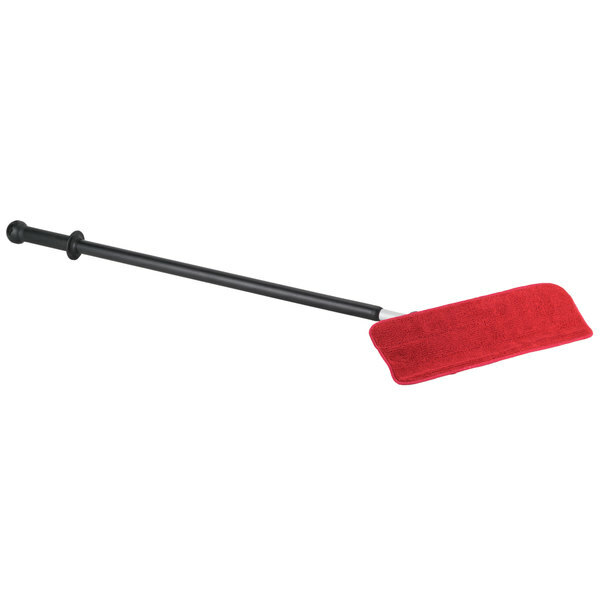 This 18" red wet mop removes dirt, dust, and bacteria better than conventional floor cleaning methods. Plus, this versatile microfiber mop works great for applying floor finish. Use this mop pad on any hard surface in your restaurant, kitchen or diner for a streak-free, residue-free floor. 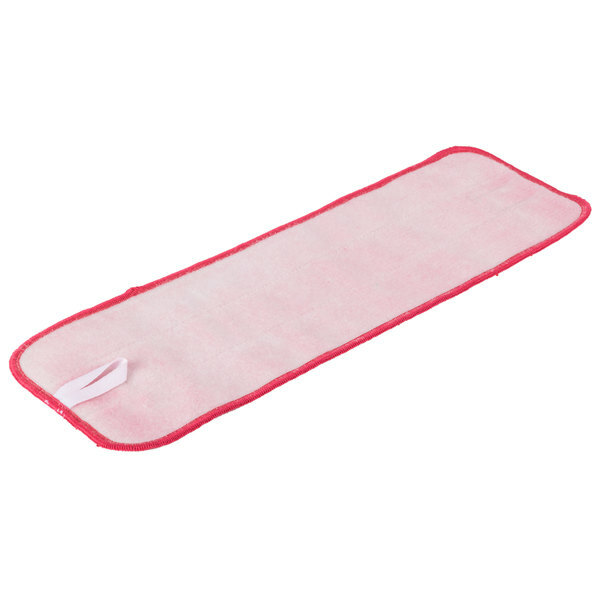 This quick drying pad weighs less than your conventional cotton mop, so changing mop heads for each room is easier and less strenuous than ever before. I use it for cleaning my hardwood floor everyday, it has good quality and it is lightweight easy to clean, my sister loved it. Thank you! This is an awesome product. My advice is buy more than 1 .It leaves no streaks after mopping .Plus buy all the parts the handle and head then you will have the best mop you could ever hope to own. 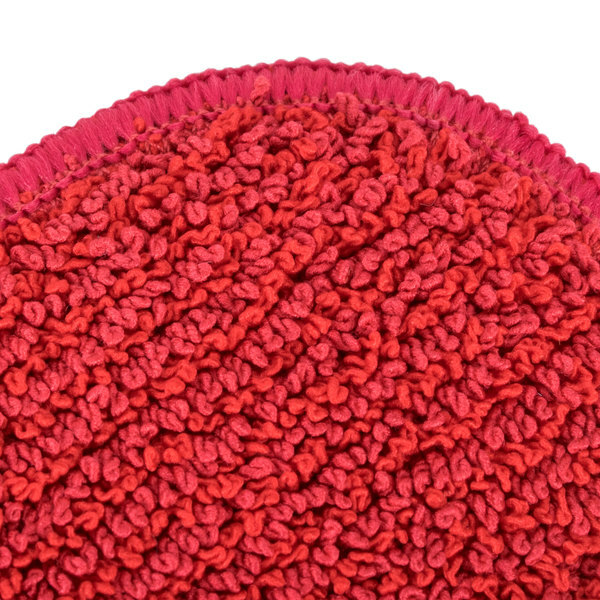 Love these microfiber wet Velcro flat mop pads. You can never have enough of these. I have used them to wash my floors and have also used them attached to the end of my steamer . The best ever and so big! The mop pad is great. It is effective on dry as well as wet, reusable, and fits well on my Velcro mop base. The price is quite reasonable, as well. These are great flat mop heads, we use these for various of jobs. They hold up well to machine washing. Also other harsh chemicals we use. We purchased these for our Ice Cream/Shaved Ice Shop, they were great for use with our spray mopping system. The Microfiber added just enough agitation to get the sticky off the floor and leave it nice and clean for the next day. Highly Recommend! 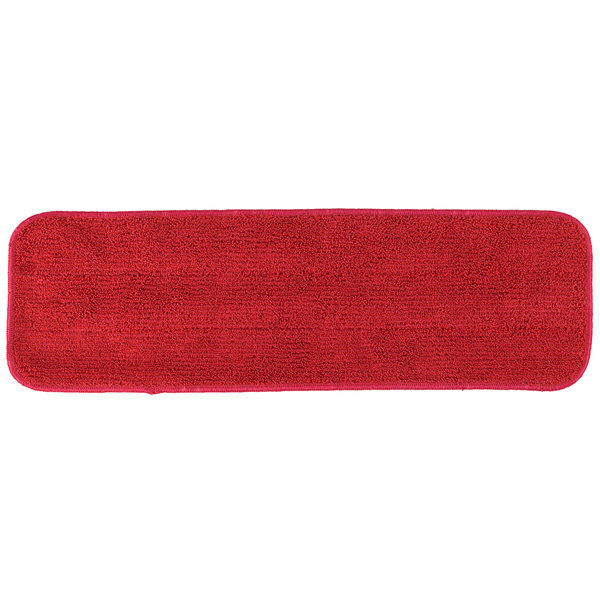 This red microfiber pad is a nice value pad for cleaning floors. Can be used both wet or dry. Is also washable and reusable. Nice quality product here. 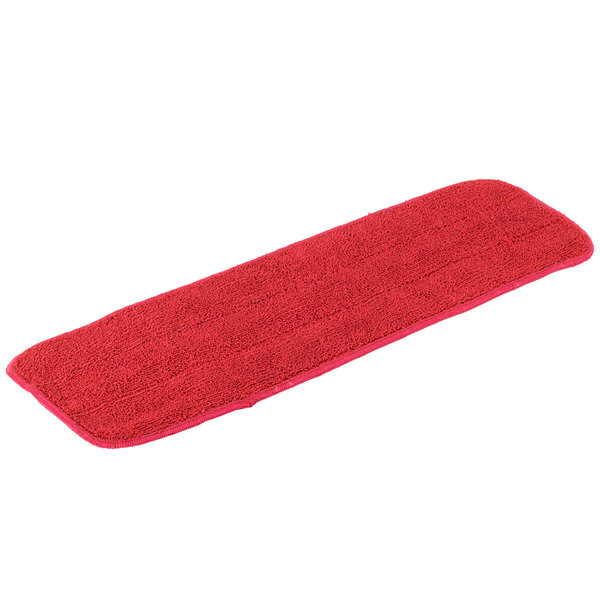 We use this 18-inch red microfiber wet velcro mop flat mop pad with the same size aluminum microfiber mop frame. They fit perfectly together. This is good when mopping tiled floors. It picks up the dirt quite well. And the price is excellent. Nice thick pad great on my tile floors. Also great to wash walls have held up through machine washings too. Excellent price as well recommend!!!! 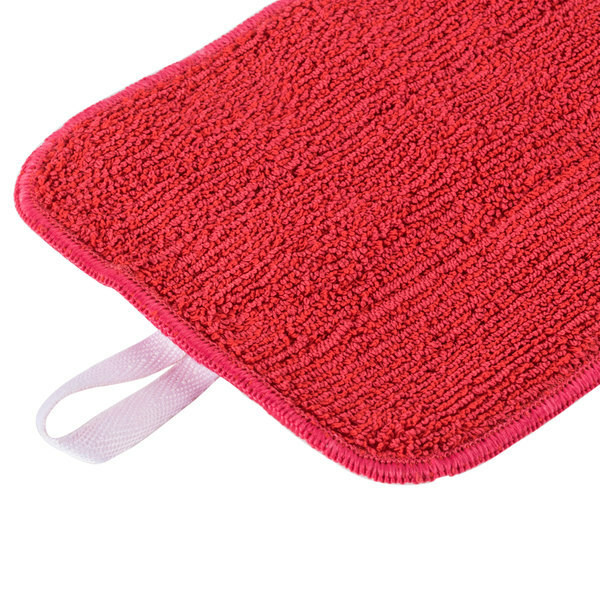 These red microfiber pads are great for cleaning floors both wet or dry. Soft backing will stick to most microfiber pad holders using Velcro type fasteners. These microfiber mops work wonders at cleaning. You can remove more dust in less time with microfiber material. Highly recommend this Flap top mop pad in green. I washed before using like other reviewers suggested and it worked great. No bleeding at all. No more single use pad for me. Pad is of good quality for restroom cleaning and wall cleaning. Down side is that the red dye can bleed onto surfaces, this could be that the pads should be rinsed before first use and or laundered. Not recommended for floor finish as this dye will bleed into the finish. Thank you for the review, Christopher! We're sorry you've had issues with the dye bleeding from the mop pad. To alleviate this issue, we do recommend laundering this before you use it. 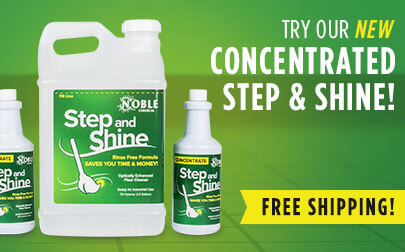 I use this on my spray mop to clean my linoleum floors. It works great, then I just wash it and it's ready for next time - no wasteful disposable mop pads. I ordered a few to try out as all I use in my business is microfiber. I received my order extremely fast and in perfect condition. These mop pads are exactly what I needed and I will certainly be ordering more in the future, especially at the price that they are offered. Best price I've found online yet. Highly recommend that if you are using microfiber pads to give these a shot. Love this microfiber mop. Washed up so nice and does not leave streaking. I use it on my laminate floor with excelkwnt results. I am going to buy one more. One to have available while the other is laundering. This mop is great for use in areas that get very dirty. Its abrasiveness cleans VERY well. It works especially well at pulling up scuff marks. This is a great FOH or BOH item! 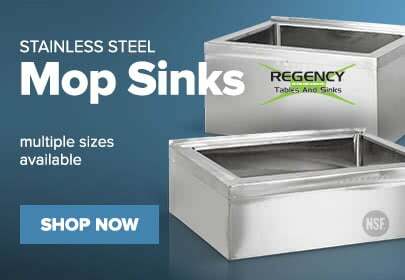 They come in a variety of colors which makes it easy for employees to distinguish which one to use! !